Stuck in traffic during the hot summer months, nothing feels better than the cold air rushing through the air conditioner. We allow the sun to heat our cars and then use a lot of fuel to cool the inside. 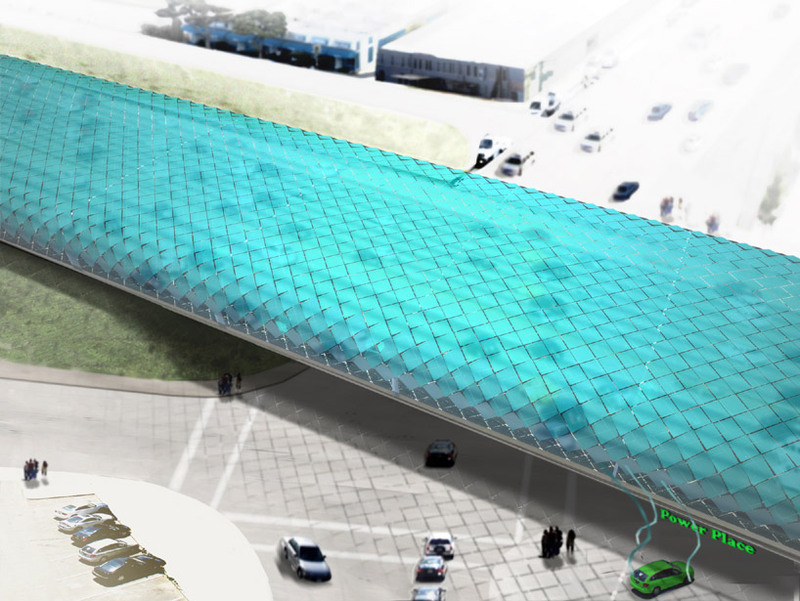 This seems rather silly when you consider this alternative, which is a project by the Swedish architect and urban strategist Mans Tham, called Solar Serpents. Shade the road, meaning you wouldn’t need to cool down the car so much. This would save energy. We would generate immense quantities of electricity from the solar panels. 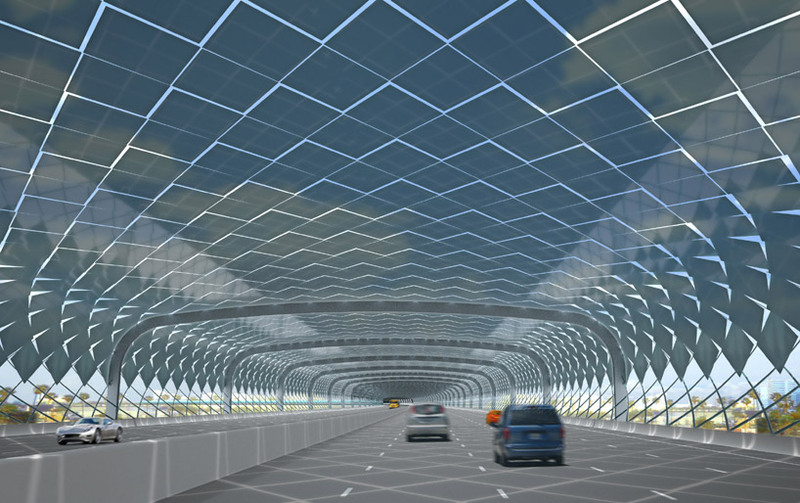 It would make sense to think of it as a linear solar power plant that has the additional value of shading the highway underneath it. …and you’re running alongside most of the power lines. Very cool indeed. Yeah, its usually the case when you bring an idea down to reality that the pesky details start getting in the way. Do you mean the power lines themselves would be hot? Dangerous electromagnetism? Or just an eyesore? I agree that its insanely complex, but so is standing outside in the midday sun. I guess a more realistic compromise would be to densely shade everything with trees. Can they be blue trees that have leafs made out of solar panels as opposed to the boring real green ones? It does sound creepily awesome, though. Imagine what would happen to birds and insects that eat parts of the tree. Would they glow in the dark? Assuming they don’t die from the toxins, then: OMG yes! We could be like avatar, who needs fire!